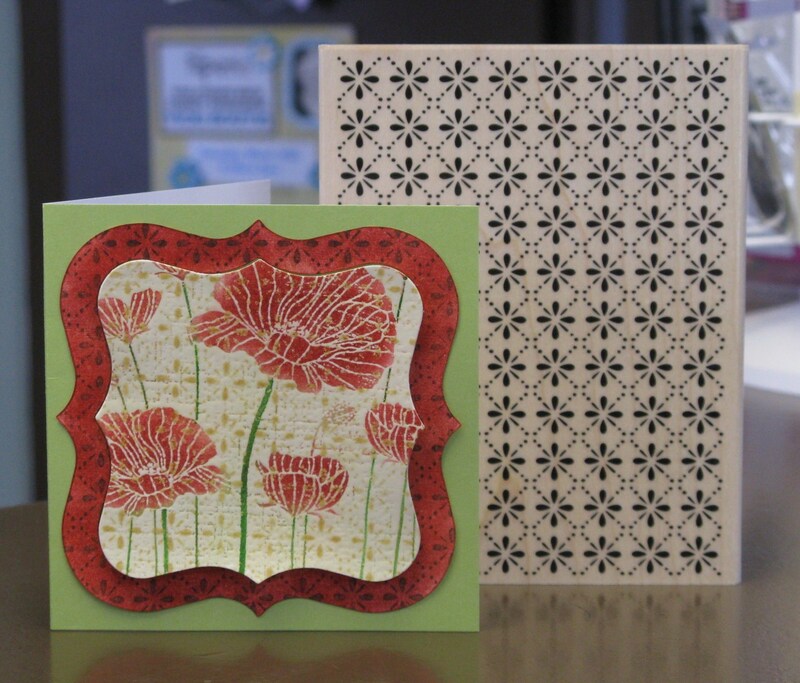 I stamped the Dots & Flowers Background on ivory cardstock with Antique Linen Distress Ink and allowed to dry, then stamped the Poppy Background on top with VersaMark and embossed with clear embossing powder so the background would show through. Then I just went in and added colour to the poppies using more Distress Inks with my Fantastix applicators – ironically this is a Resist Technique… and I think resistance is futile. Come on Meghan, you know you wanna! It’s very versatile and allows for a whole lot of variations; I know you’d be able to work wonders with it! I’m not helping, am I? I struggle like you do between wanting and needing yet another stamp. Beautiful card Meghan, I always love the cards you create. Just to let you know in case you’re not on twitter….Hero Arts tweeted this card today. I couldn’t resist it either – this card IS beautiful!! WOW – I need that background stamp – matches the A Muse paper. LOVELY! !